Many times, the demands of cosmetic changes in the mouth are too great for just tooth whitening or simple bonding. 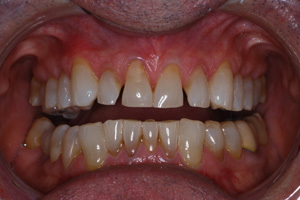 Fortunately we have the ability to correct many cosmetic concerns without having to drastically alter the shape of the teeth and place full coverage crowns. 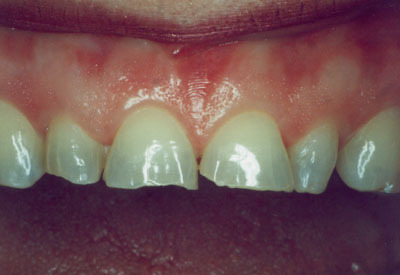 Porcelain Veneers are among the most conservative of aesthetic dental restorations. 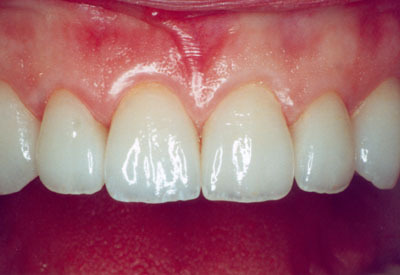 Veneers sometimes referred to as laminates, can change an entire smile and your overall appearance in two visits. Using our expertise as well as your input and desires, the doctors of Bryn Mawr Dental Associates can custom design your smile, the shape, color, and size of your teeth to create an award winning smile that looks so natural no one would doubt they were your natural teeth. 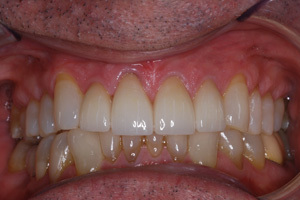 A thin layer of the tooth is modified to allow a custom fit for the porcelain restoration to be bonded to the tooth. This allows us to brighten and whiten dark or miscolored teeth, reshape teeth that are too long or too short, fix fractured or chipped teeth, and straighten crooked teeth and close gaps without the need for braces. In most cases, all this is accomplished in two visits usually spaced two weeks apart.